I know, I know don’t throw things at us – Chrismas is still a slightly dirty word when we are still hanging out hopes of an indian summer but trust us – if you don’t start at least thinking about where you are going on the big day now you may miss out! Most of the best restaurants and hotels are full into the swing of marketing their seasonal dates and if you want your pick of the best places to go for your special Christmas Day lunch you need to start looking and booking this week. We have some very special places to recommend and as of date of publishing this post they ALL still have availability for December 25th so get your skates on and tick that job off of your ‘pre-christmas’ list! Lainston offer a really lovely idea called ‘Home from Home’. 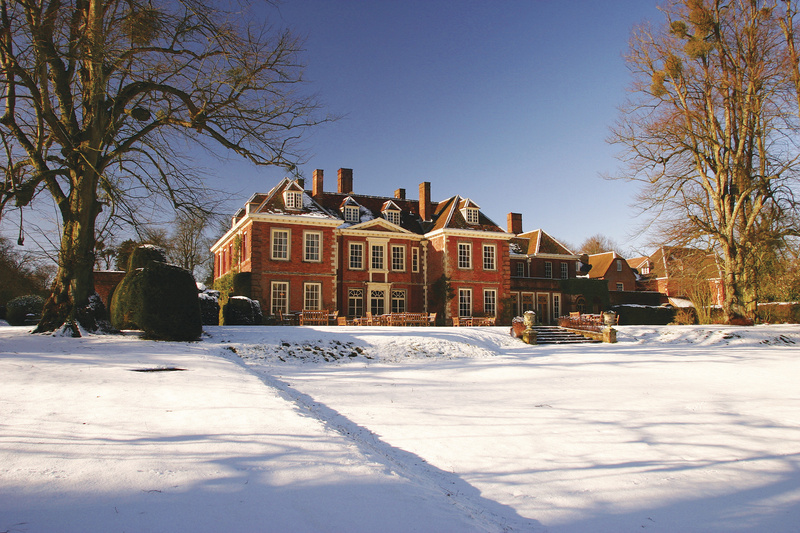 Gather family and friends and roll up to the charming Georgian mansion and let the friendly staff at Lainston recreate your very own family Christmas right there! Enjoy a fabulous three-course lunch in the privacy of your own dining room with a chef carving the turkey at your table and family style Christmas pudding to round it all off! Alternatively book for Christmas Day Lunch and enjoy a traditional five-course Christmas lunch paired with wine in the 17th century Dawley Barn and mingling with all the other Christmas diners. There will be a visit by the big man himself and after lunch enjoy a stroll around the grounds before relaxing in front of a roaring fire for coffee and choc’s. 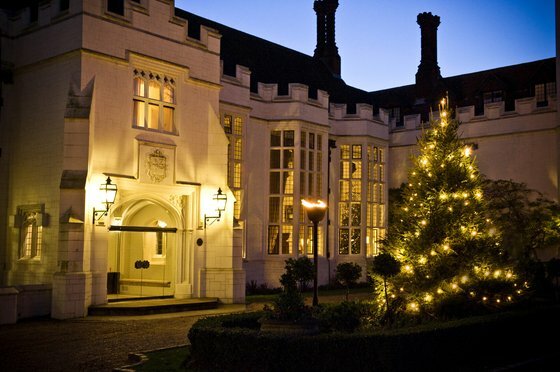 For a truly romantic and historical christmas lunch look no further than one of DR’s favourite hotels Great Fosters. This magnificent tudor hunting lodge was home to several of Henry VIII’s wives and you will feel like royalty in their 14th Century Tithe Barn. The lunch commences with Champagne, seafood and caviar and is followed by four more courses including traditional turkey and Christmas pudding. When it comes to roaring log fires Great Fosters has this covered in spades, along with wonderful grounds to wrap up and explore. We are heading way up North for our next Christmas recommendation to the fabulous Seaham Hall who are promising a Christmas utopia! For chic sophistication nothing can beat the ballroom at Seaham which will host their Christmas Day Lunch and can accommodate small family tables up to large tables for bigger groups and friends. With wonderful views from its clifftop position of the terraced gardens and coast through the large Georgian bay windows, champagne and canapes will be served before a traditional four course lunch created for you by legendary chef Martin Blunos. The incredible setting of Luton Hoo has featured in many films and will provide a glamorous backdrop to your festive lunch. The hotel is offering two options for Christmas day. The Romanov Suite is the spectacular orthodox Russian chapel converted originally for private use by the Russian born lady of the house. Used mainly now for weddings, you will enjoy a sumptuous five course Christmas lunch including turkey surrounded by the stained glass and icon’s of this very original room. If you prefer something less formal then a four course traditional lunch is also being offered in the relaxed setting of the Adam’s Brasserie, including welcome drink on arrival. All guests can enjoy the wonderful park and woodland and relax in the comfy sofa’s of this famous setting. Luton also has an extensive ‘Christmas House Party’ package for the full Christmas experience which includes whisky tasting, midnight mass, champagne and carols and a family quiz! For the ultimate fine dining Christmas lunch then our recommendation has to be the magnificent Pennyhill Park Hotel and the Michael Wignall experience at The Latymer. Following a champagne and canape reception you will be treated to a truly stunning seven course tasting menu in the elegant and stylish surroundings of the 2 Michelin star Latymer – Christmas doesn’t get any better than this! Pennyhilll are also offering a ‘Home from Home’ meal which will be served in your own dining room but you will need a minimum of 10 diners. The more relaxed venue of the Brasserie and Balmoral Suite are each offering a fabulous festive Carvery Jazz Lunch called The Pennyhill Lunch which offers a welcome drink and half a bottle of wine per person. 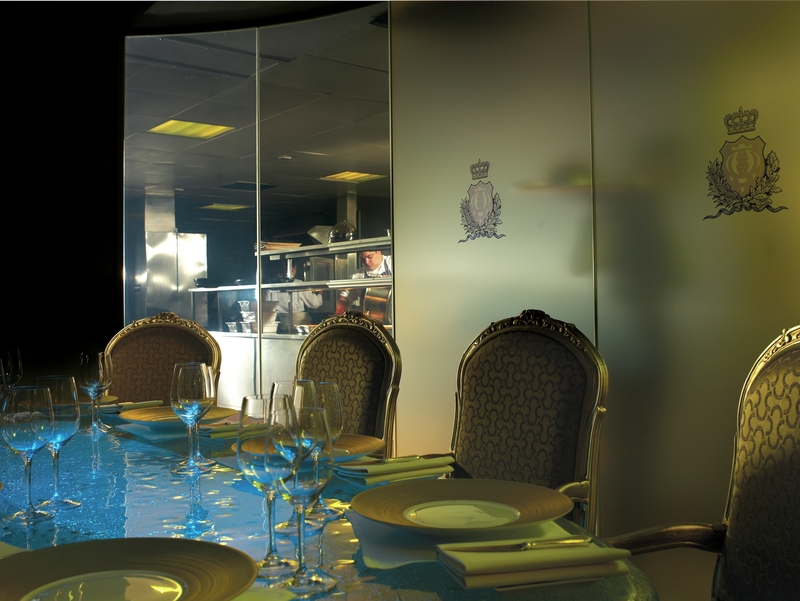 FInally if you want to really impress your Christmas guests then book the Chef’s Table and experience Christmas within the glass bubble of the private dining room located in the middle of the kitchen! For those that are hankering after a non-traditional Christmas Lunch but don’t want to compromise on style, quality or surroundings then we have the perfect place for you! Set in the historic Grade II listed former Westminster Library, in one of the most stunning dining rooms in the country, the Cinnamon Club has paved the way for a new generation of modern Indian restaurants. Christmas day lunch is about so much more than turkey and trimmings. Executive Chef, Vivek Singh’s revolutionary cooking style uses the finest ingredients to set the tone for a subtly spiced Christmas lunch. Festivities are extra special with much more than just the cuisine to enjoy! 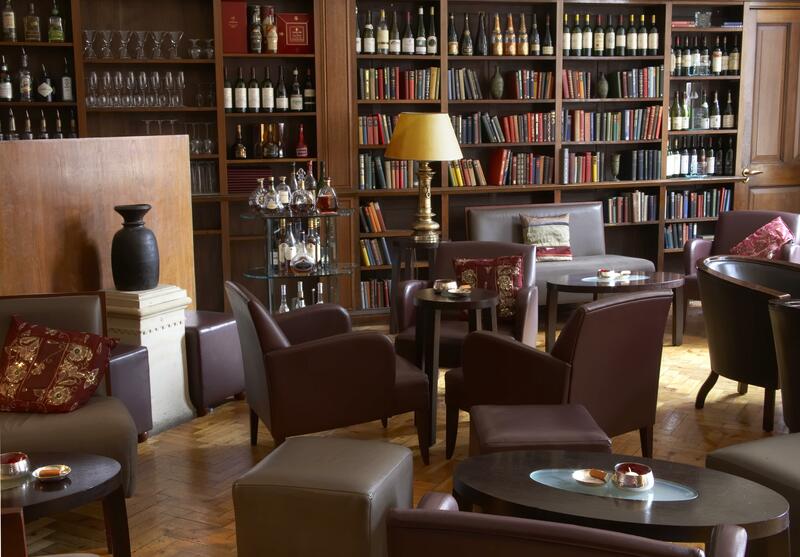 Enjoy canapés and an aperitif in the library bar before a stylish sit-down four course lunch in the private dining room and after-dinner cocktails in the Cinnamon Club bar — all set against the booked-lined backdrop of the Old Westminster Library. 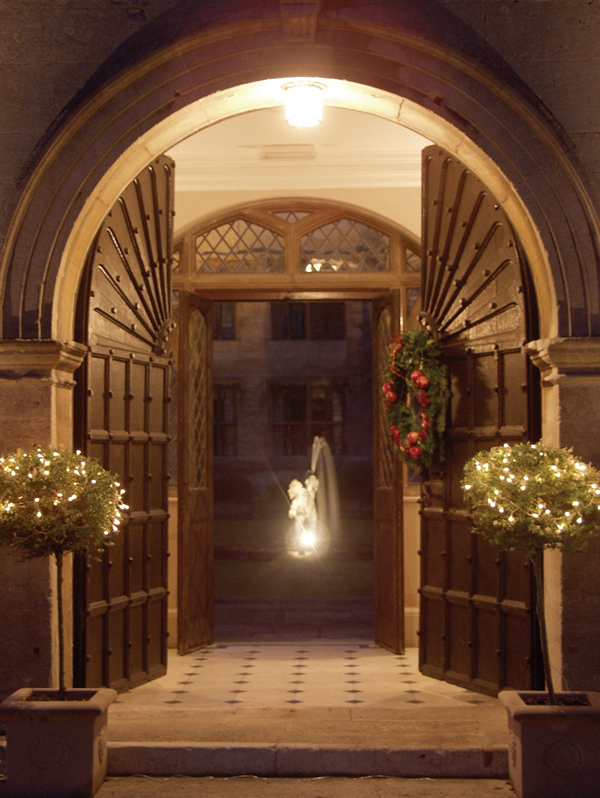 Danesfield offers a magnificent country house Christmas with all the bells and whistles! Standing high on a hilltop with incomparable views across the winding Thames and Chiltern hills, this SLH property does grand on a major scale. Non- residents can enjoy a champagne reception followed by a traditional five course lunch and a visit from Father Christmas! 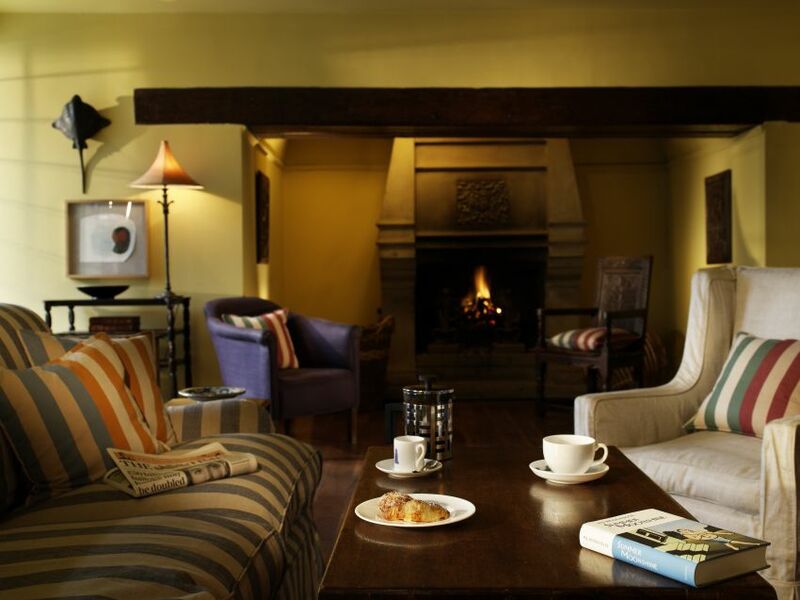 Lunch will be served in either the sophisticated Oak Room or the light and airy Orangery. Take coffee in the Grand Hall and enjoy the ambiance of the gracious surroundings or take a stroll around the wonderful topiary gardens. 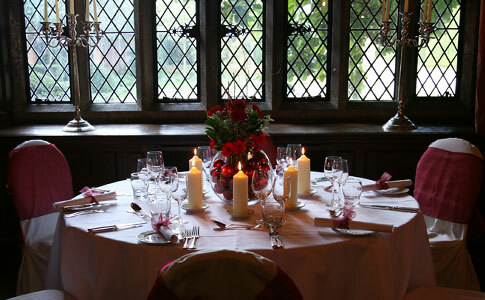 Danesfield has two sittings for lunch at 12.30 and at 2.30. The imposing and graceful Rushton Hall was recently awarded 4 red stars and 3 rosettes by the AA Guide and with good reason. Huge stone and timber fireplaces adorn virtually every room, whilst ornate plasterwork and wonderful stained glass can be found in the Great Hall, Drawing Room, Dining Room Library, and numerous other rooms. Head Chef, Adrian Coulthard and his team are serving up some exquisite dishes and Christmas will be no exception. Arrive in the Great Hall for drinks and canapes before settling down to a traditional four course lunch and vegetarians are well catered for too! If you happen to be in the wonderful coastal vicinity of Cornwall this Christmas we would suggest having a good look at Olga Polizzi’s eponymous Hotel Tresanton. On Christmas Day, a roaring fire welcomes guests before lunch. Their cinema shows the Queen’s speech at 3pm while the sitting room table groans under the weight of Stilton, mince pies, panettone and clementines. Lunch includes Christmas bellini, three course’s including langoustine and turkey, ginger tea and a visit from Santa! 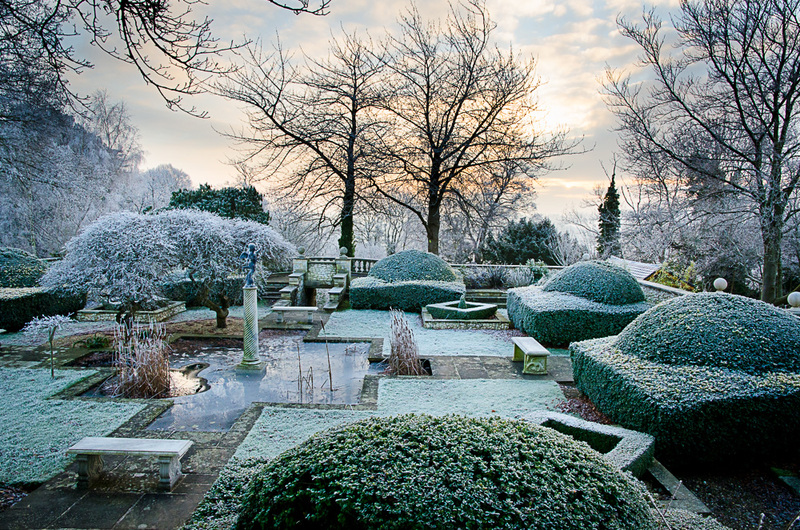 Richmond is wonderful at Christmas – the cobbled streets are swagged with lights and holly and the you get a truly Dickensian feel as you walk up from Richmond Green along the towpath and up Richmond Hill arriving at the elegant and chic Bingham. 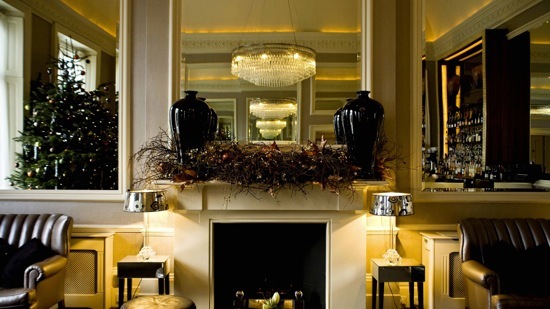 This beautiful boutique hotel on the banks of the Thames is luxury personified and its Christmas offering is elegantly glittering without being over the top glitz. Celebrate this special day with a champagne cocktail on arrival and an exquisite five-course Christmas Day Lunch served in the Restaurant. They are also serving a three-course Christmas Day Luxury Buffet Lunch in the Garden Rooms which will include half a bottle of wine per person and water and a gift for children.